Sun Valley Silvering / $250 ea. 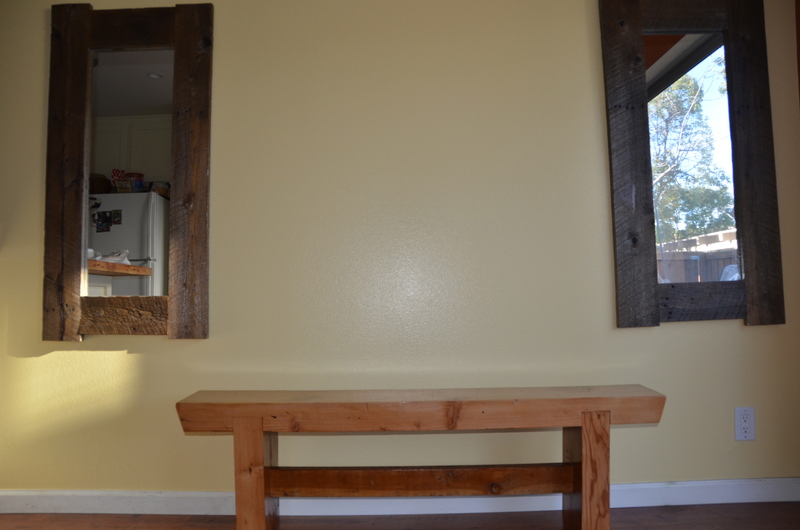 These mirrors are framed with a shipping pallet lumber that I salvaged in Sun Valley. Not one those typical 40″x48″ pallets. This thing was huge! Like 6’x12′ built for shipping heavy equipment. The 1×6 is a true 1″ thick. But what I dug about it the most was the silvering the sun had done to it over time in the yard. With 2 coats of polyurethane, the silver really shines. As for the mirror, its new and good quality. I cut and glued felt on the back for protection and used recycled keys as ‘stays”. 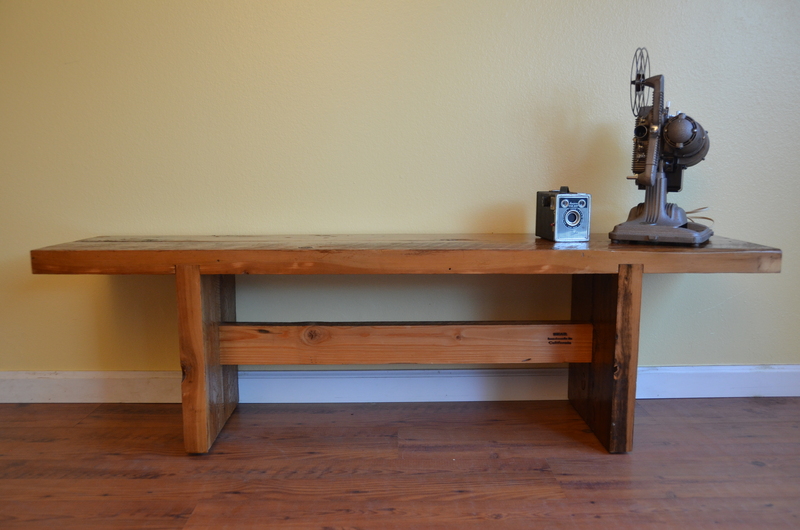 This coffee table is born from some reclaimed 2×8’s I salvaged from a house in Malibu, CA. Dado and Mortise and Tenon joinery can be tricky with this old wood, but it turned out ok! The old full dimensional lumber really helps its strong aesthetics. 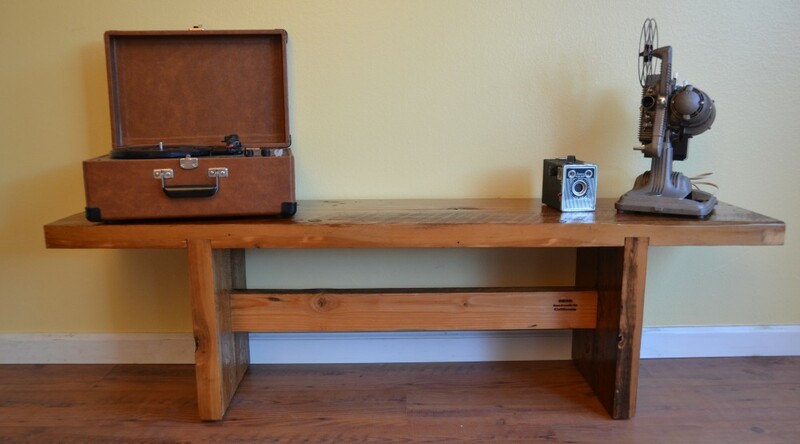 The table works great for smaller spaces and is finished with 2 coats of semi-gloss polyurethane. Dimensions. 17 1/2″ tall. x 14 1/2″ wide. x 60″ long.